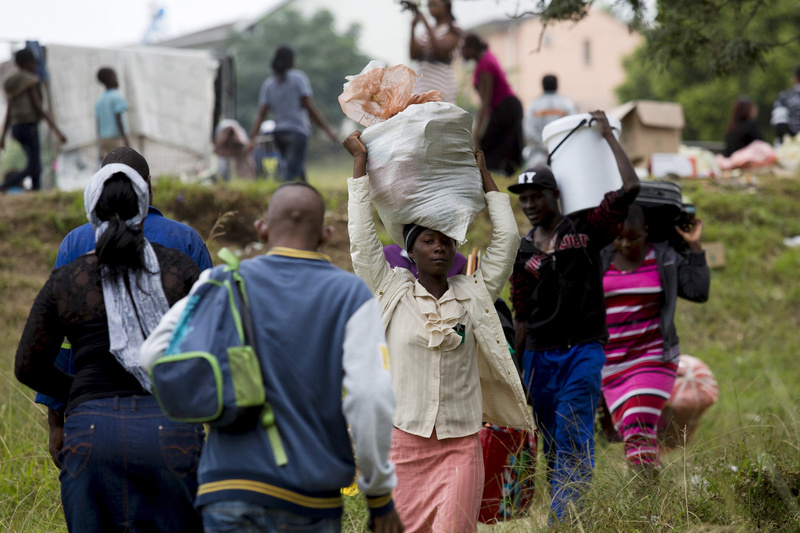 What Is Behind South Africa Xenophobia Attacks? In a chilling reprise to the events of 2008, the last few weeks have seen a massive resurgence of anti-immigrant violence in South Africa. Sparked apparently by a call of the Zulu king Goodwill Zwelithini to foreign-born Africans to "pack up and go home," the attacks on individuals and businesses quickly spread from Durban (Kwazulu Natal Province) to other major cities. Events such as the killing of a Mozambican immigrant in Alexandra, Johannesburg, have made world headlines. The dominant rationale of the xenophobes is that immigrant workers—mainly from the rest of Africa, but also some shop-owners from Pakistan, India, Bangladesh and China—are "stealing" South Africans' jobs. A closer examination reveals a slightly more complex picture. South Africa is a country with a skills shortage—from skilled labour (artisans, builders, carpenters, etc.) to professions (notably engineering, medicine and education). Twenty-one years into democracy this cannot be seen as simply the practice of white job reservation that had barred blacks from entry into the more skilled labour market. The demands of the economy had started to undermine job reservation in skilled labour as far back as the 1980s. This was less the case in the professions, but official and non-official training quotas in technical and tertiary education after 1994 had started to redress the imbalance. State programs of redress, economic empowerment and affirmative action have further assisted this process. In 20 years a new middle class, sometimes called the Black Diamonds, have emerged. However, massive state expenditure on secondary education has been hampered—not by apartheid but by faults in how education reform has been implemented. Despite large injections of cash, the majority of mainly black schools have not produced the desired results: a skilled workforce. Short-sighted education policies, poor quality teaching and schools that seem to be held hostage by powerful teachers’ unions (strongly tied to the ruling party) have weakened the school system. (Indeed, a teacher friend of mine who survived apartheid education once remarked to me that she fears her children’s schooling is worse than hers). This needs serious attention from the state. Post-school technical training is available—but there are very few people in apprenticeships, particularly young black men who represent the majority of the unemployed (and are the major perpetrators of xenophobic violence). Partly this is because of inadequate grounding in school. The other aspect seems to be lack of interest or a sense that learning a trade or skill is beneath one one’s dignity. Everyone aspires to be a success in South Africa, dreaming of a house in the suburbs, a smart car and fashionable clothes. There is a strong sense of entitlement, but without the sense that upward mobility is the result of personal initiative and hard work. Above all, perhaps, it comes down to money: trades and skilled labour are simply not as well paid as professions. Combine this with low productivity compared to many other countries and a strong tradition of labour militancy and the results are quite devastating: because South African labour is unreliable, there is less demand to increase skilled jobs or increase wages. Where they are needed employers will look for the most skilled and reliable workers, and they don’t come from here. Skilled workers from other parts of Africa are therefore in demand. Similarly there is a very low level of what one might call an "enterprise culture." While immigrants, following the historical pattern everywhere, start up small businesses regularly—and work very hard to maintain and grow them—local South Africans, with some notable exceptions, do not. The default position seems rather to be expectation that government will provide, if not well-paying sinecures than welfare. Which it does, if not within underperforming state bureaucracies then through welfare—which currently supports 16 million people. But this does not end the resentment against working foreigners, particularly those who start businesses that succeed. Nothing fails like success: a psychologist might infer that the relative success of these immigrants presses a nerve in the psyche—a sense of failure—and, combined with a mentality of entitlement, generates the violent, xenophobic responses we’ve seen. I am skeptical that current attempts to stop xenophobia by appeals to morality will change this. What is needed, apart from radical upgrading of education, is an initiative to challenge entitlement and generate a new attitude to work that emphasizes productivity, effort and enterprise—in short a revival of that classic understanding of the dignity of work that is central to Catholic Social Thought. Anthony Egan, S.J., is America's Johannesburg Correspondent. Other factors which may be more important are the work environment itself where foreigners work alongside locals. The one problem you will see is that migrants are going to come from more desperate circumstances and as a result they will invariably be more obsequious than the locals. In an attempt to get ahead they will get involved in unscrupulous methods such as slander and gossip. They will do much more than what they are paid to do in order to ingratiate themselves with bosses. Bosses are able to depress the wages because of a labor pool that continues to increase. The work situation is no longer a give and take relationship, it is as if a worker is there at the pleasure of an employer and you find this playing itself in the labor courts. Migrants will never take an issue to the labor court and therefore they are more desirable for exploitation when it comes to unfair labor practices and unfair dismissals. These are difficult factors but they are the reality on the ground and very difficult to deal with.